please tell them that you saw them here. and all merchandise was shipped promptly with no problems. Please allow time for pics to load. 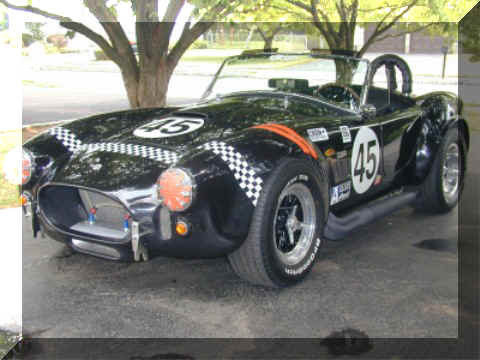 My Cobra Replica is made by Antique and Collectible in Buffalo, NY. 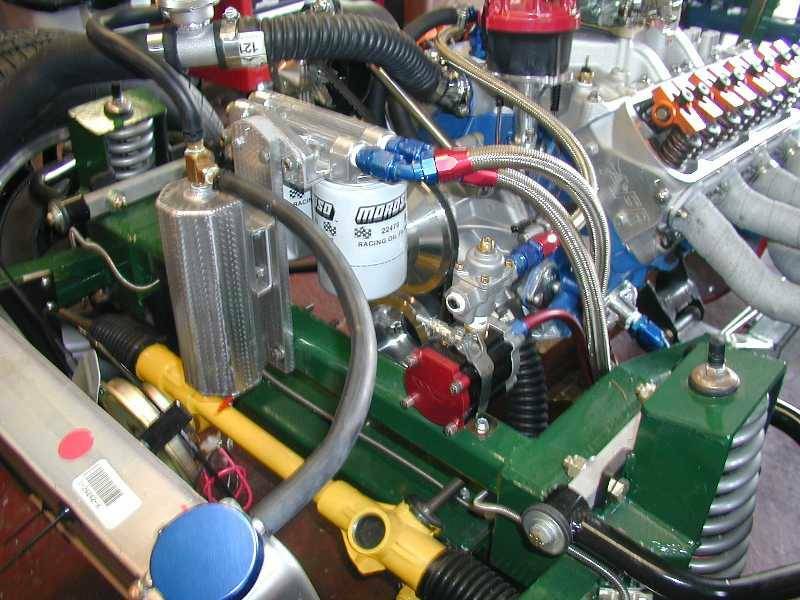 Machine Service Co. in Ledgewood, NJ (973) 927-0303. 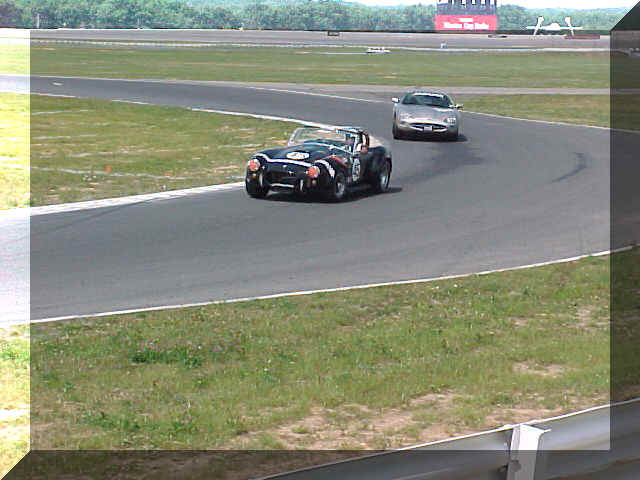 Took the car up to Pocono Raceway and ran the North Course with PDA. Had a great time and learned quite a bit about driving. Well I finally got it on the road. Will update shortly. No time to update now, I'm driving it!!! WOW! Still have lots of work to do. I've been busy throughout this year. Finally warming up so I can work outside. I don't know where to start. 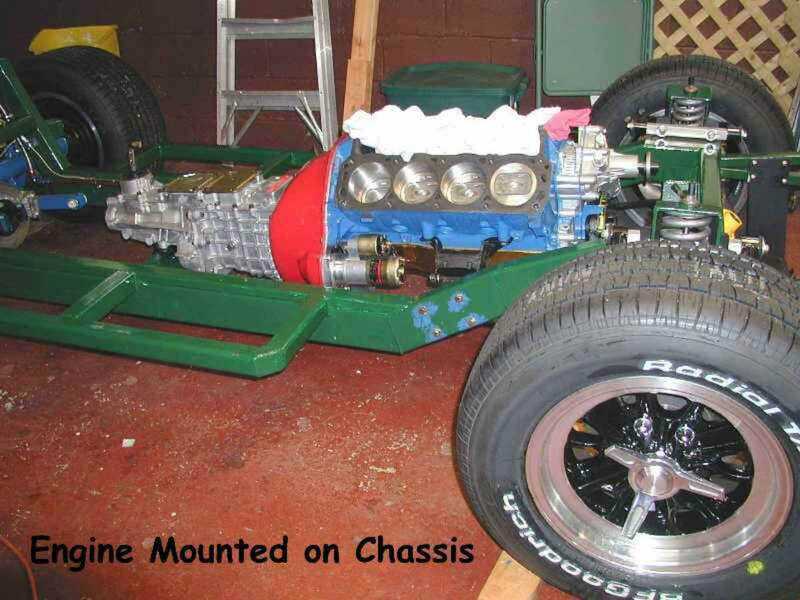 Last report was I picked up the body and was working on mounting it. Well the body is mounted and it looks just great. The gel coat is superb and I'll probably run it a year or two while I save for a good paint job. I picked up the oil cooler and shroud from Enzo at Finish Line. 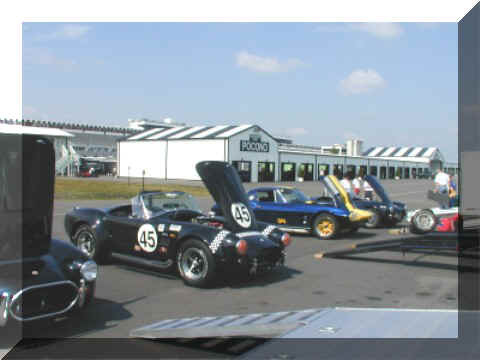 (2 Commerce Dr. N. Brandford, CT 06471 Phone: 203-484-4900). I finally got my Oil Cooler and Shroud in and fully plumbed. I have an Accusump from Pegasus. when I open the pre-oiler it doesn't run into the cooler or filters. the filters to the thermostat. From there to the oil cooler and back to the thermostat. 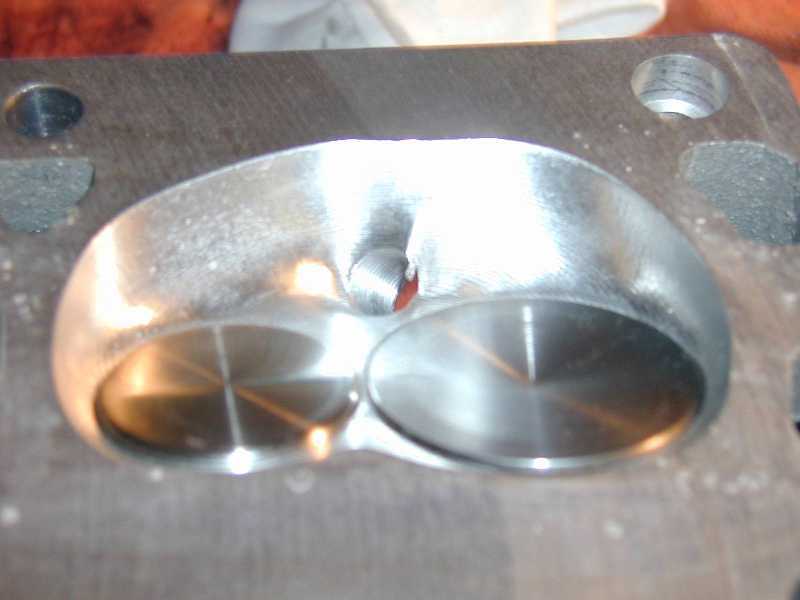 Then through the checkvalve with a 'T' where I tie in the pre-oiler and back to the engine. Was a piece of cake once I laid it out on paper. I used all stainless -10 hose and AN fittings. It looks a bit 'pasta-like' under the hood but I think I got it right. 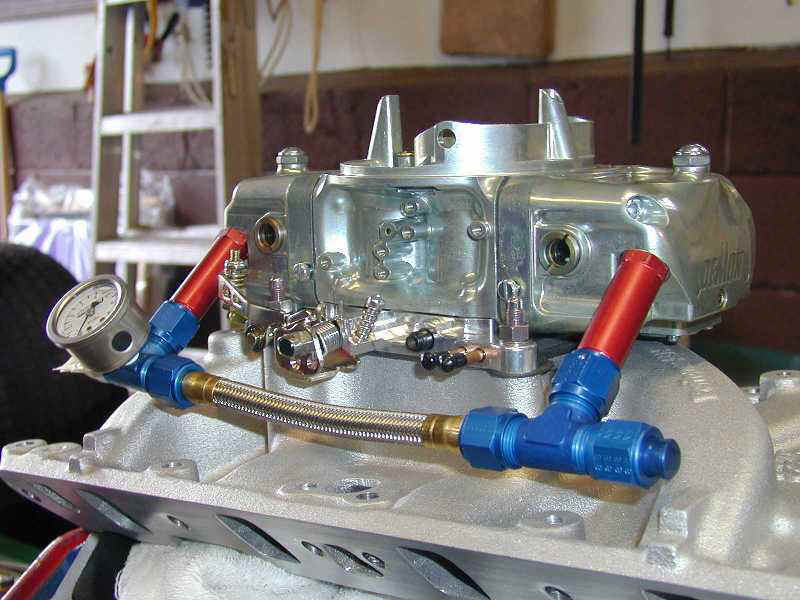 I installed AN fittings and stainless braided hoses for the upper water lines. I used a billet swivel outlet on the intake manifold from CSI. tops. I glued the stuff to the dash with hot glue and then glued the tanned elk skin over the foam. There is disconnect with a big red switch. I also have a 'T' handle between the seats which controls a main disconnect for the trunk mounted battery. I used standard toggles with the rubber screw on covers. The covers are available at, believe it or not, Home Depot. They are of higher quality than ones I paid 4 bucks for from a racing supply catalog. 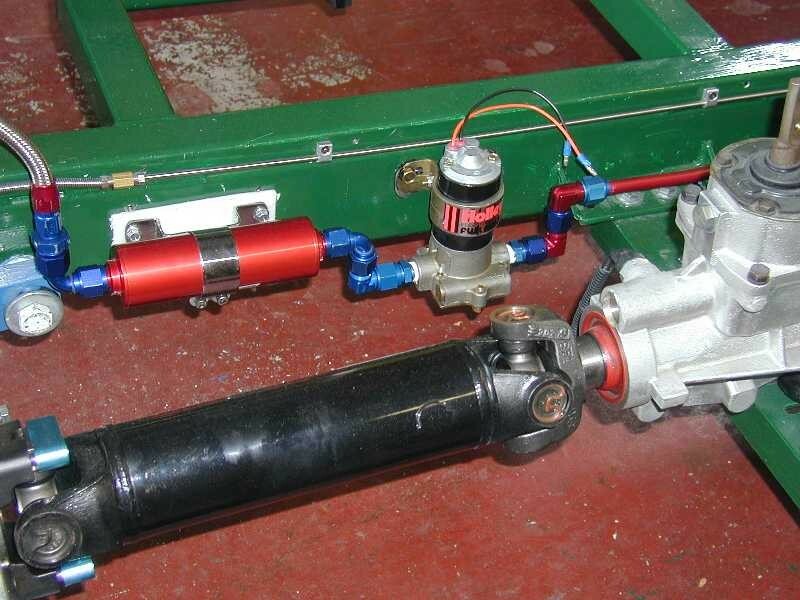 Note the red 'T' fire actuator. Trunk prop from Enzo at Finish Line. 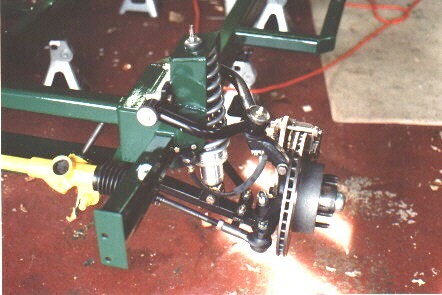 Front prop made from stainless angle and rod. Installed the rear jacks. I picked them up on the internet and got the tubing and grommets from..
who else??? Enzo at Finish Line of course! Finally got my license plates. 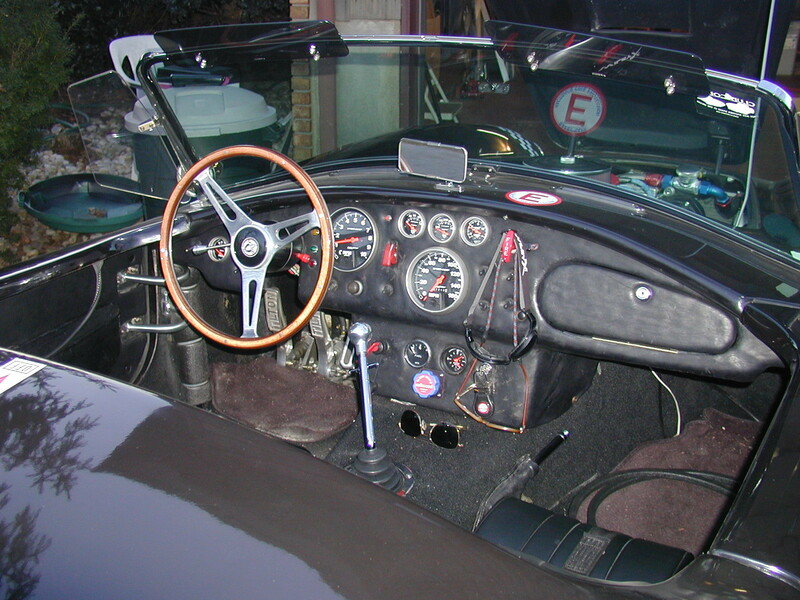 Going to use the rod mounted mirror like many English cars. 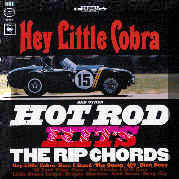 Rod came from..you guessed it! Enzo at Finish Line. Mirror came from Bob Ford at Brittek in CT. PS: Did not use the rod mounted mirror after all. Went with the cowling mount. 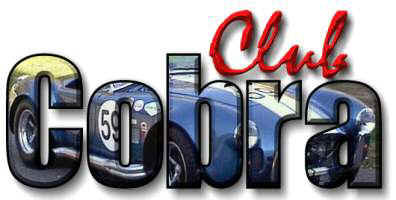 Seats are 'Cobra' brand Classics from AutoToyStore. He got them from Sube in CA but he shipped right away and gave me a good price. Carpeting is from American Trim & Upholstery in OK.
were made. Grommets and rings are from Enzo at Finish Line. correctly. Need to do some more work to get it right. 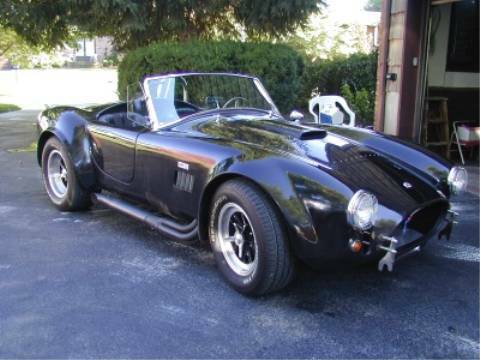 So I'm hoping to get it on the road in early June. I have the steering column in from Ididit with boss and Motolita wheel from Enzo. 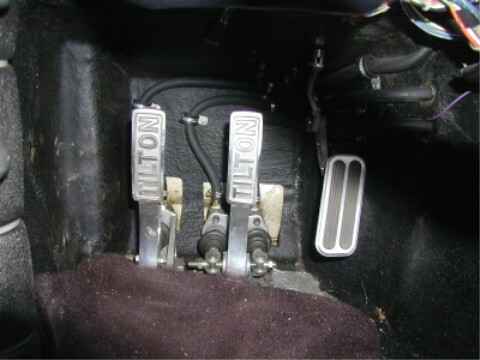 I will be going with the Tilton floor mounted pedals. Buffalo and start cutting out for the side pipes, etc. 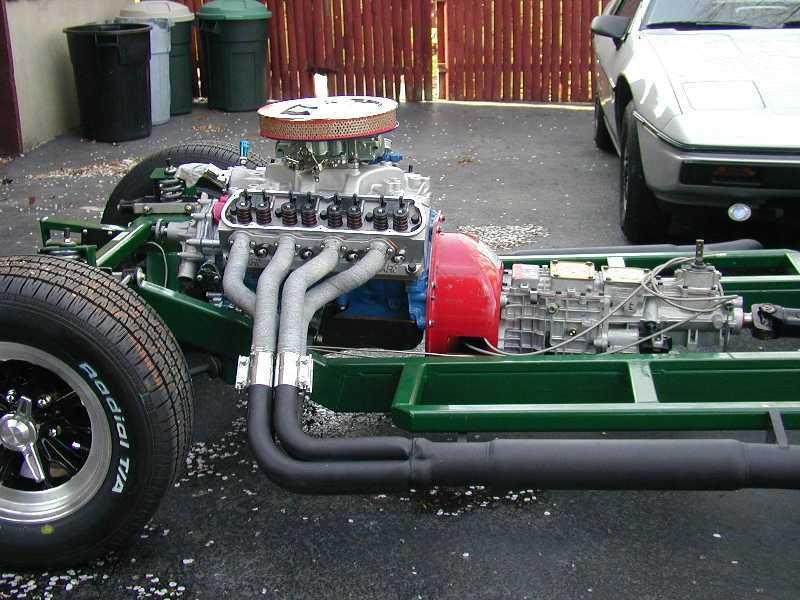 The below shots are after I got it off the blocks and on the chassis.. I made the cutouts for the side pipes and the fuel lines and gas tank. I had to refit the radiator. Note the quality of the gelcoat!!! This is exactly how it came to me from the factory. A & C cut out for the headlights, parking and tail lights. They also mounted the trunk and hood. The fiberglass work is superb. It must be half inch thick in some areas. As you can see, I've been busy. Stone guards are from Enzo and Paula at Finish Line. Next will be finishing the cowling, steering and dash wiring. 1-800-525-0613. Apparently you can get any of their promotional posters/banners for a "small" fee. The banners which are 3'x10' are $25. The poster is 7.00. I just got my banner in the other day and it is really fine. 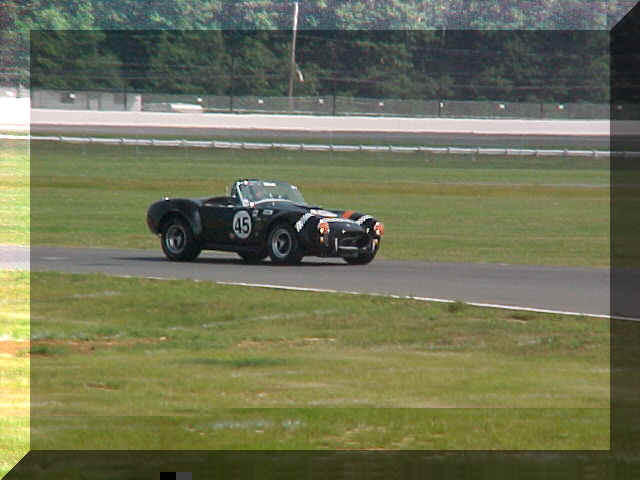 An FIA Cobra in striking steel blue with the quote "Take Control." Hung it up in the garage...the wife was thrilled! Seems like a pretty good deal when I've seen the same banners on ebay selling for $39 and they probably got them from BFG anyway. runs smooth as silk. 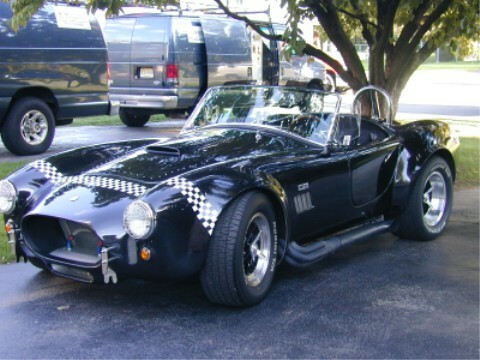 When we first fired it up it the noise set off a neighbors house alarm! 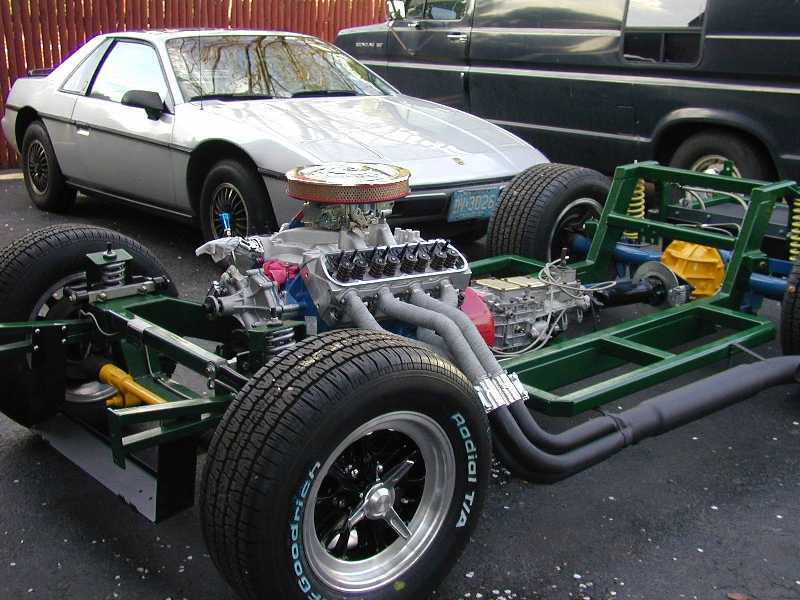 will be trailering the chassis up to Buffalo and A & C will mount the body for me. 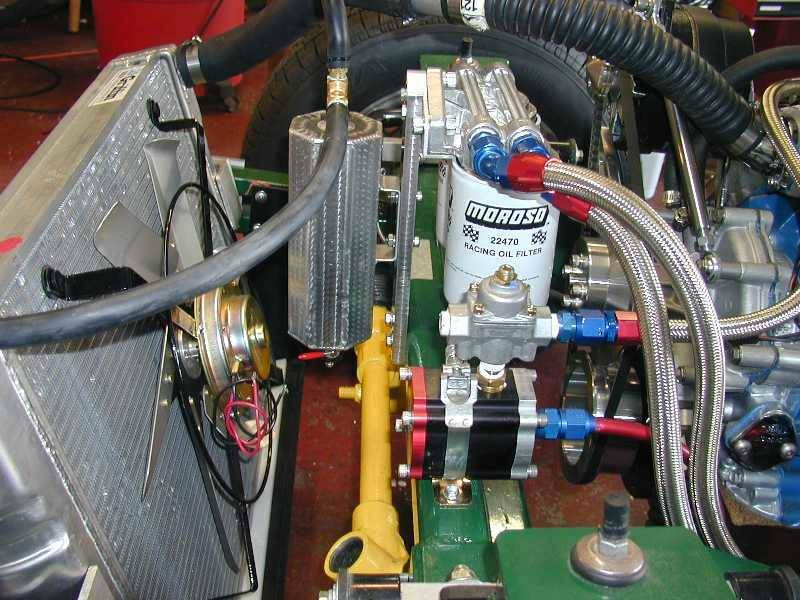 I added an electric choke, Accusump pre-oiler and billet remote oil engine plate. 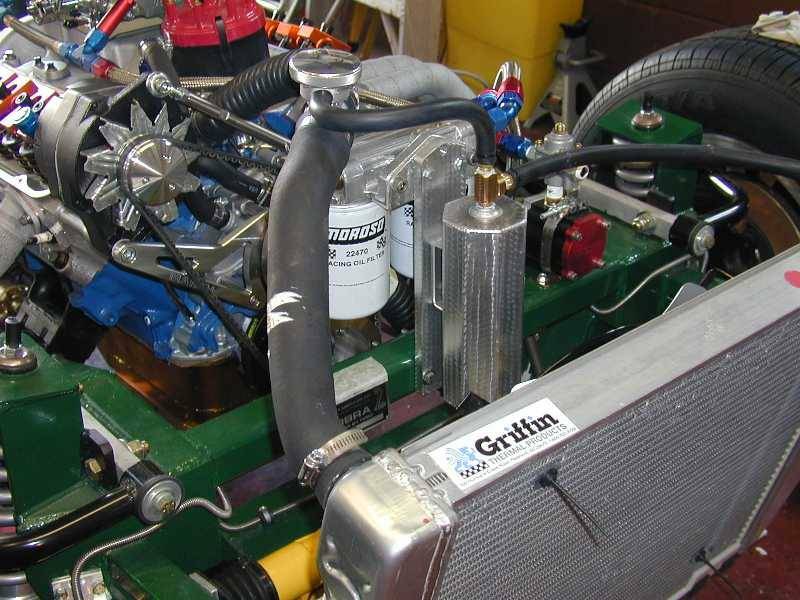 Latest installation is the Griffin NASCAR radiator from Summit Racing. engine turned it. Fan is Perma-Cool High Performance 18" 2500cfm Fan also from Jegs. 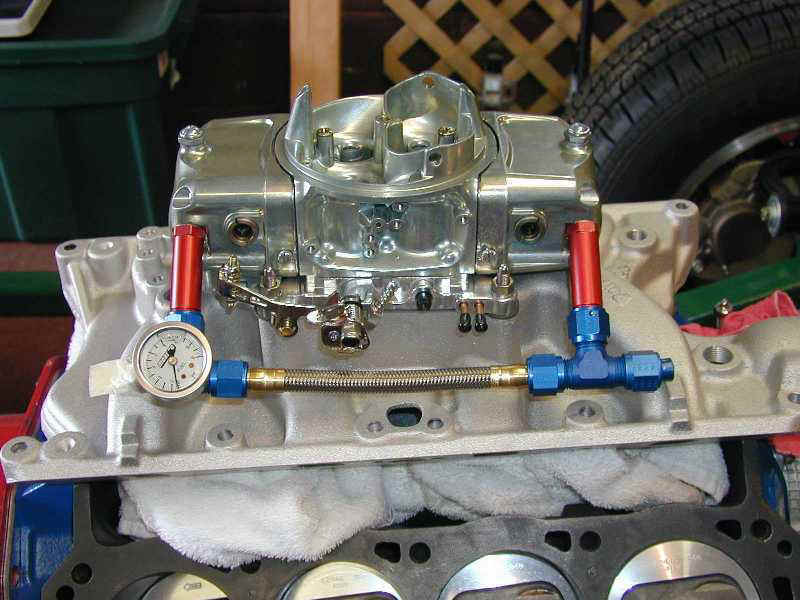 Canton Racing canister filter and Holly Fuel Pressure Regulator up front. 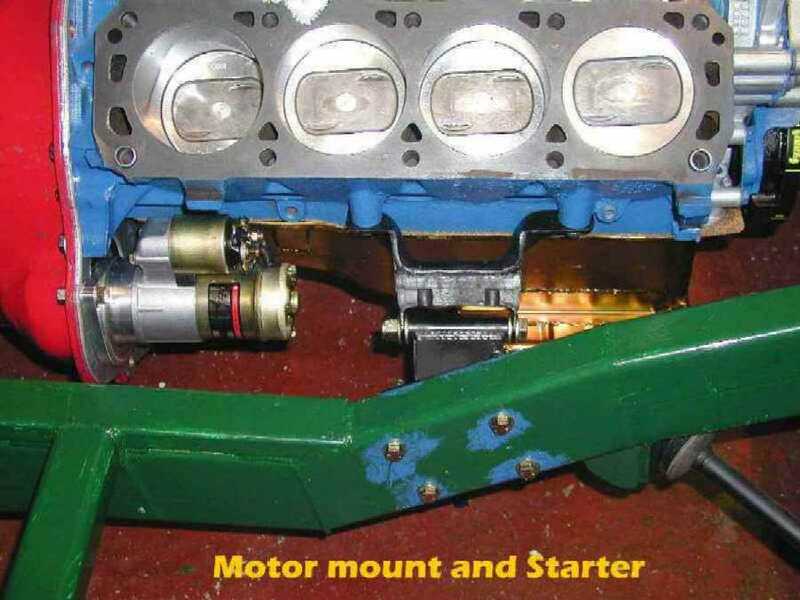 An alternator mount and pulley set from March and a 100amp Powermaster racing alternator. I ordered the alternator mount directly from March. 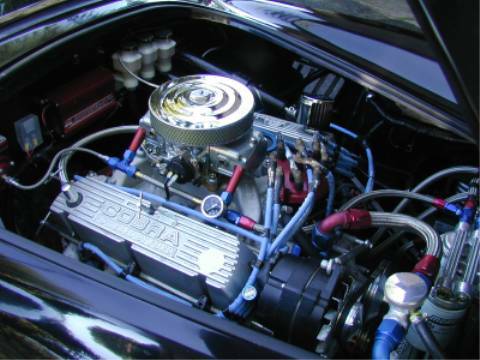 The pulleys, alternator, fuel pump and regulator came from Summit Racing. 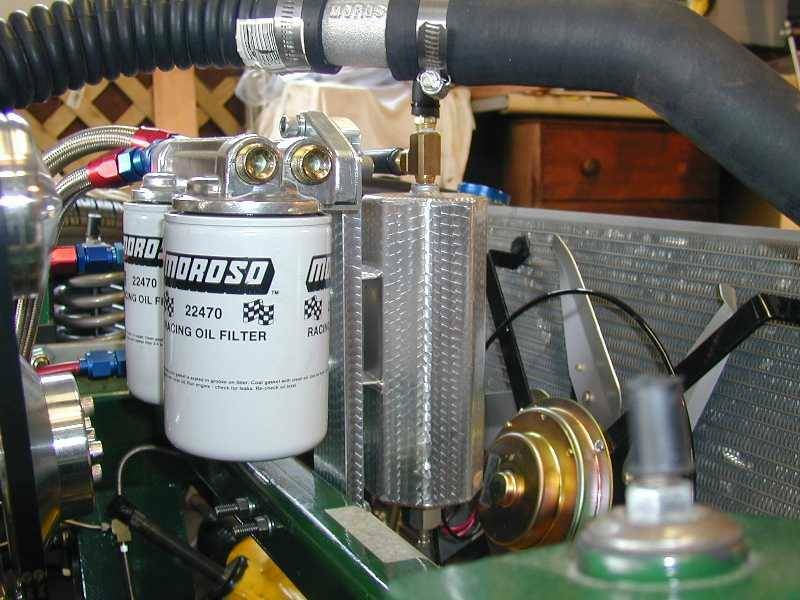 canister fuel filter came from Racer Parts Wholesale . Correct air filter came from PAW. These are the heads I got from Air Flow Research and they are really supurb! 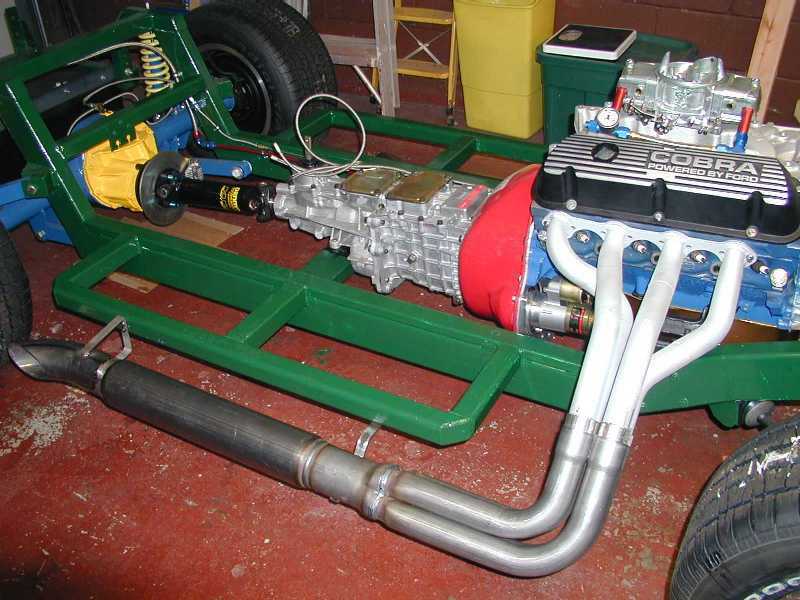 The heads are completely CNC ported with 185cc ports and 58cc Chambers. Heads come complete with guideplates and studs. They are very reasonably priced also. and now have them mounted with the sidepipes. Their stainless clips are great and easy to use. I picked up a set of Harland Sharp roller rockers and but had to measure for the pushrod length first. I made a pushrod measuring tool by first heating up a pushrod to dis-temper it. to 1/4 - 28 and put in a threaded rod. 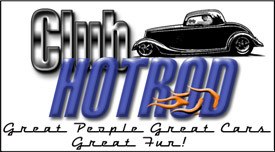 I ordered my pushrods from Smith Brothers (no not the cough drop people). They are custom made, hardened, and cheaper than some off the shelf ones. Headers are coated with VHT 1500 degree ceramic silicone based coating, flat aluminum color, baked in my barbecue at 500+. 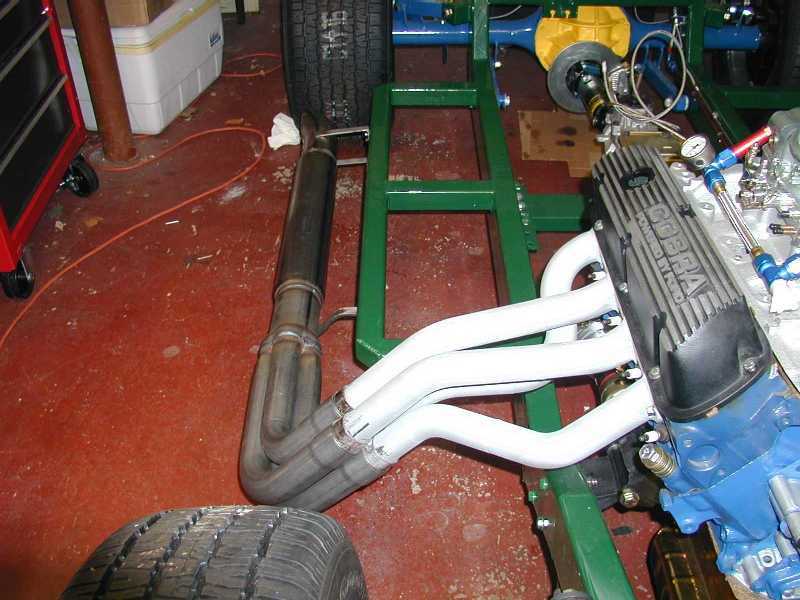 Sidepipes are still bare but this past weekend we welded on the mountings. Now I can prime and coat with flat black VHT ceramic. 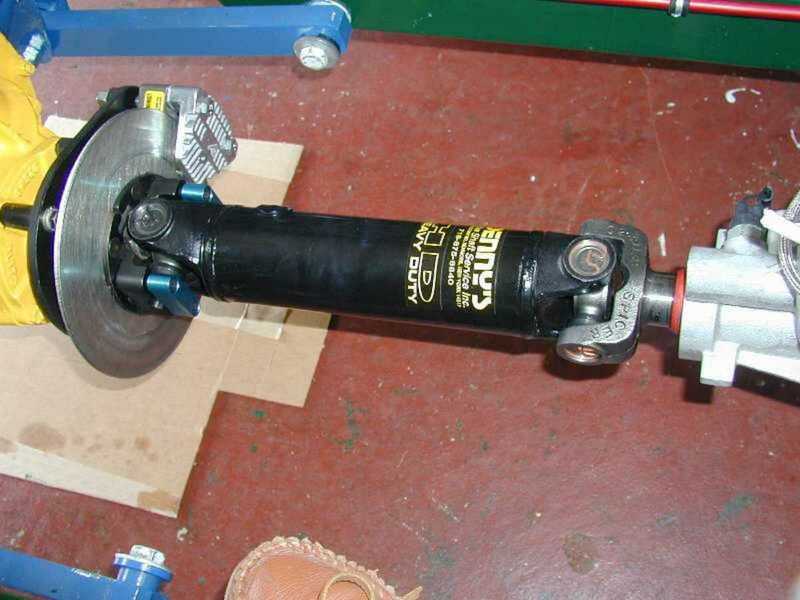 Installed the driveshaft from Denny's Driveshafts, in upstate NY. 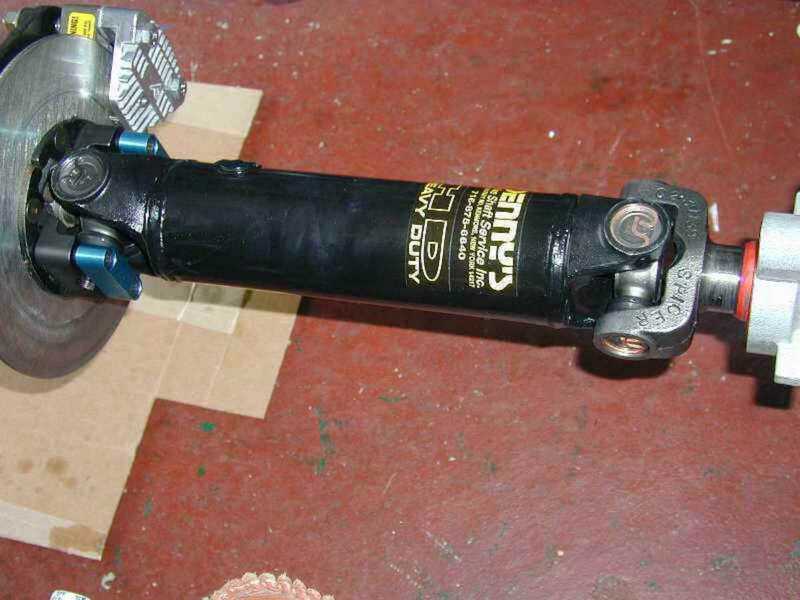 Installation was a snap and the driveshaft is a work of art. You can contact Denny's at 800 955-1872. 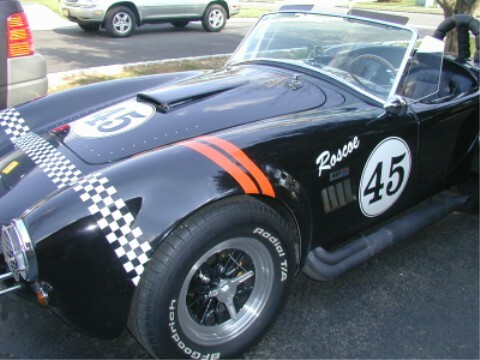 He offers 6 basic types of driveshafts: Heavy Duty, Street Plus, Lt Aluminum, Nitrous Ready, Pro Race and HD Aluminum AND a special price for Cobra Replica Driveshafts. 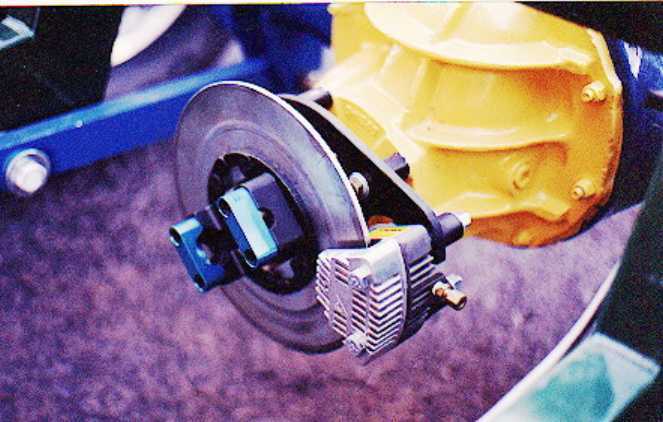 Hydraulic Disk Emergency Brake setup mounted on pinion yoke, by Total Performance of CT.
Rear is narrowed 9" Ford 350 Posi with 11" disks off Ford Explorer. 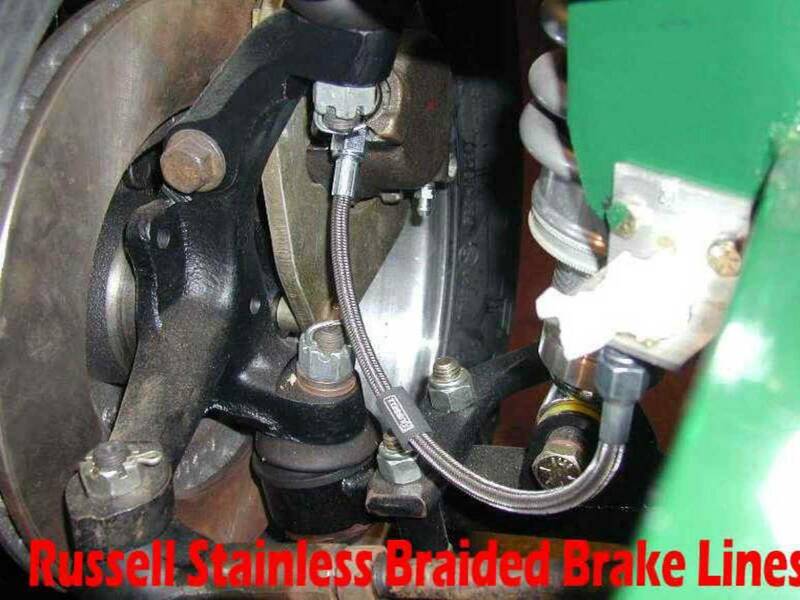 Also changed all the flexible rubber brake hoses to braided stainless by Russell (picked up locally.). In addition, all the brake tubing is now stainless supplied by Inline Tube. They also supplied me with the double flairing tool, bender and all the fittings I needed. 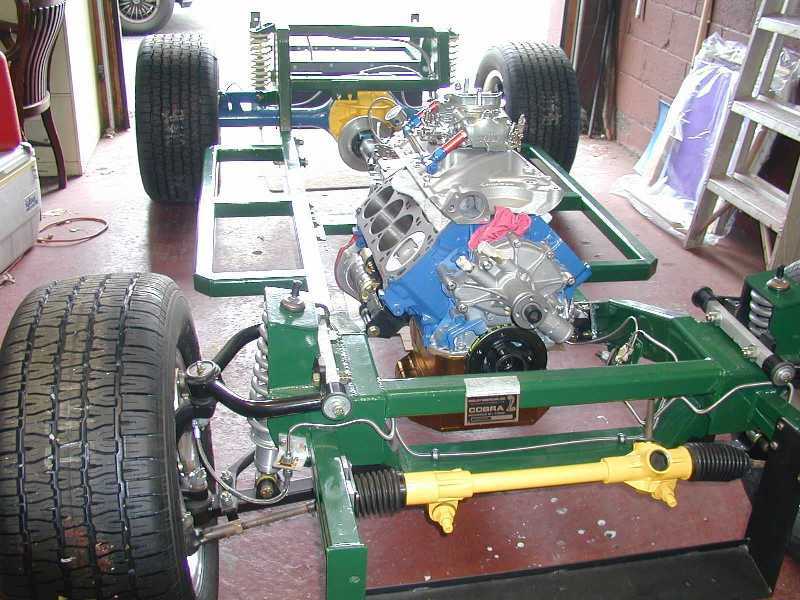 Below is the engine and trans mounted on the chassis with closeups of motor mounts. 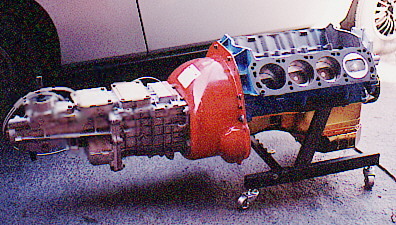 Note the CSI high torque starter from Summit Racing. BG Speed Demon 650 carb from obtained from Holcomb Racing in NC. 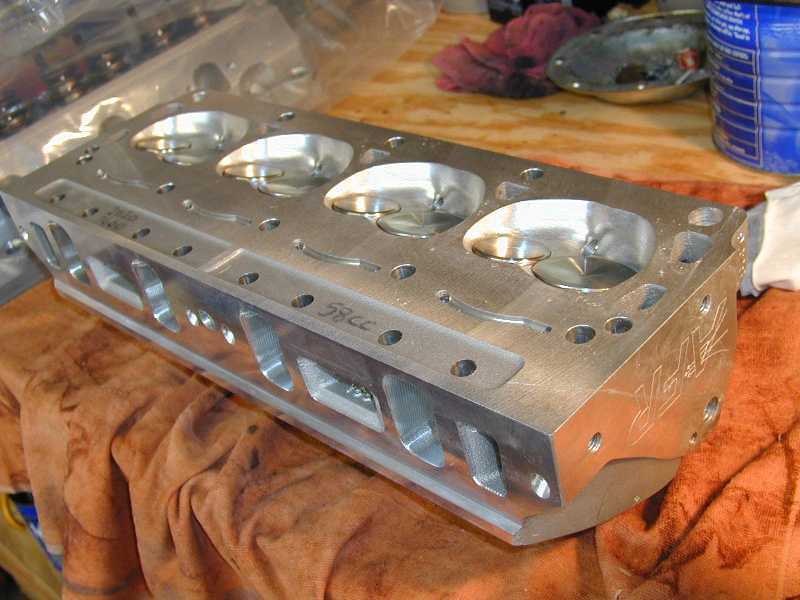 Intake manifold the Performer from Edlebrock obtained from Powered by Ford. Milodon Road Racing Pan from PAW. Centerforce Billet Flywheel and Dual Friction Clutch. Lakewood Housing from RE Racing in CA. 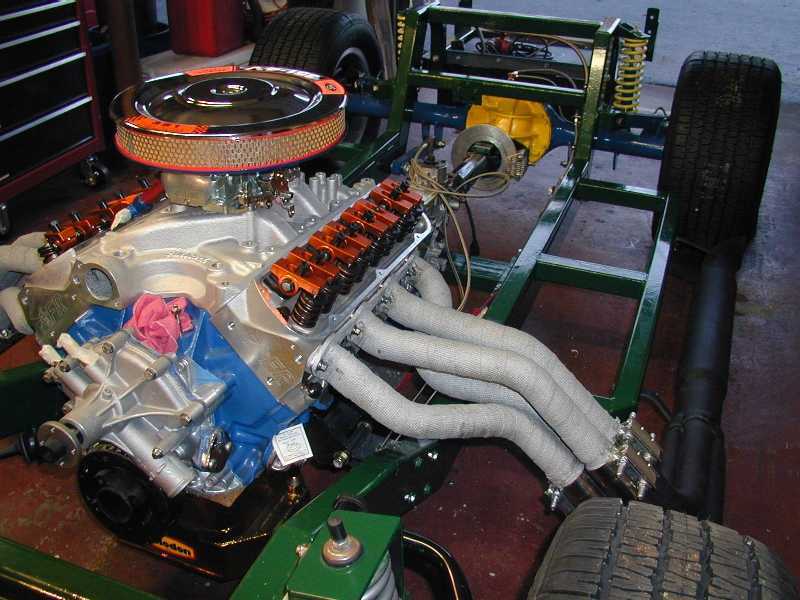 Tremec 3550 5 speed from Jim Swaar in PA. Tilton Hydraulic Release Bearing. 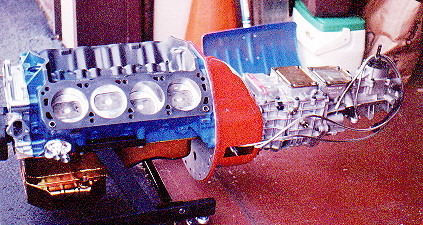 351W Engine (short block) from The Engine Factory in NJ, bored 40 over with TRW forged pistons, Edlebrock Performer Plus Cam, Timing Gears and Chain. 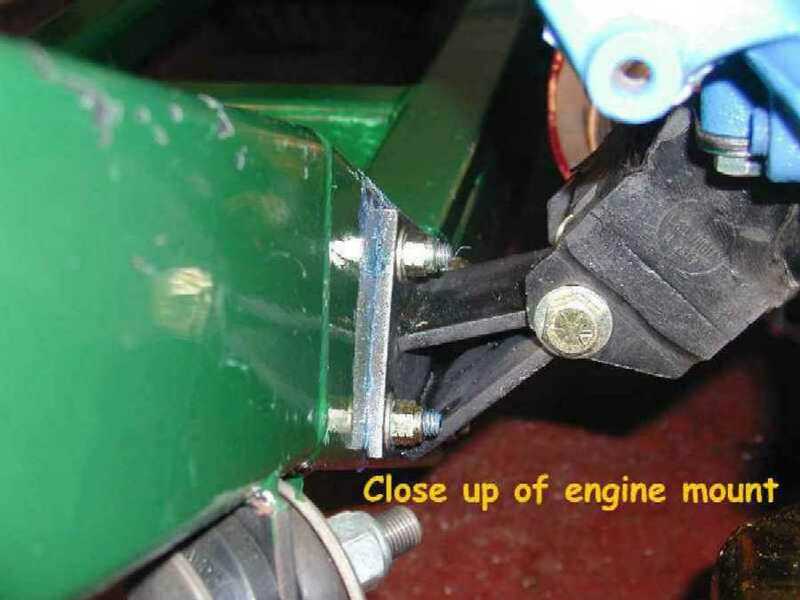 Note hydraulic lines from Tilton release bearing. 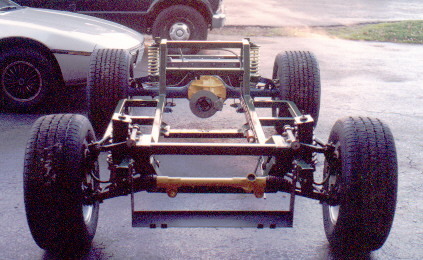 Left front end showing adjustable coilover shocks, 11" discs and rack & pinion steering. 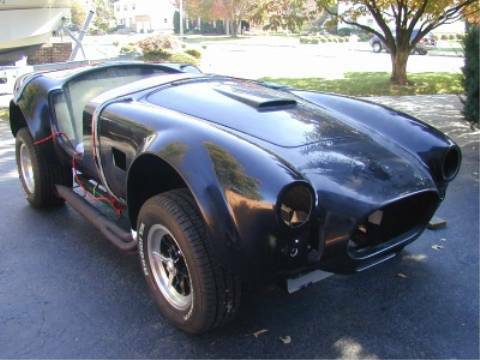 Rolling Chassis provided by Antique and Collectible in NY. Tires: BF Goodrich, Front-245/60 Rear-295/50. 15" Wheels are from PS Engineering, 2665 Skypark Dr. #102, Torrance, CA 90505 310 - 534 - 4477, ask for Phil. Send mail to admin@priveye.net with questions or comments about this web site.